Thompson Square: “Are You Gonna Kiss me or Not”? Thanks Rich, it’s great to provide sounds for great percussion artists like you! Hi, this article is it before or after the outing of the Studio Pro Tambourine? Some of these tunes were recorded before (and advanced) the roll out of our Studio Pro model For many years players removed the skin head to use in the studios.The Studio Pro model is exactly the same tambourine they were using, we just skip putting a head on it and we’ve added the rubber comfort edge. 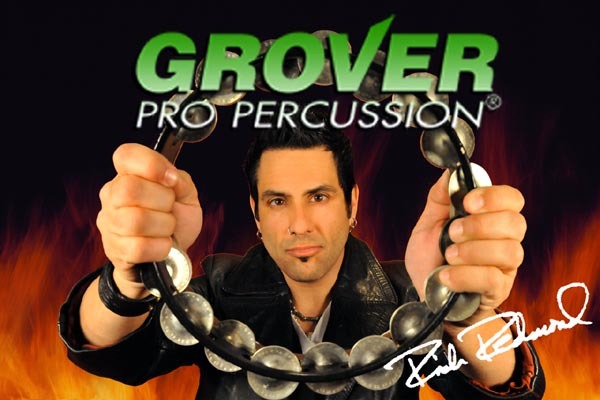 Same great Grover tambourine – same great Grover sound!